With spring here and the summer holidays quickly creeping up on us, there’s no surprise that outdoor areas become the most utilised space. We certainly believe there is no better time than now to begin freshening up your entertainment area and ensuring you are prepared for the upcoming festive season! An accessory that most people tend to avoid is cleaning their outdoor rug. Outdoor rugs are the perfect transitional piece to transform a functional space into a comfortable living area. Most outdoor rugs are synthetic, so they’re mould and mildew resistant, yet the accumulation of dirt and grime cannot be prevented. Seeing as we’re the outdoor furniture experts, we thought we’d share our top tips for cleaning your outdoor rug. Whilst these rugs are more durable and robust, each material has its positives and negatives that you should research. If you are unfamiliar with the type of material your rug is, feel free to contact us and we can assist you in the right direction. Once you’ve done your research, use a soft brush to sweep off any debris on your rug. Make sure you vacuum any of the remaining dirt and surrounding floor area. If possible, try shaking your rug to help remove any excess. Any liquid stains that are fresh should be blotted to prevent the stain from seeping deeper into the rug fibres. Using a butter knife to carefully lift any dry debris and vacuuming it after is also very handy! Using a big bucket, pour about 1 tablespoon of clear dishwashing liquid for every 3 ½ litres of water. Clear soap will stop the colours from transferring onto your rug! Lying your rug down on an elevated driveway or any clean surface will help with the wash away. Begin hosing down the rug and use a soft brush to start scrubbing! Use your own intuition to decide whether the entire rug needs to be cleaned or just certain areas. Rinse the rug again and either lay it in the sun or hang it over a fence to dry. Pro tip** Trial the soap and scrubbing brush in one corner of the rug to see how it takes to it. Proceed the clean if there are no damages visible. Discontinue the clean and consult a professional if issues arise. That’s it! Depending on the size of the rug, this process can take about 30 minutes to one hour to clean. There’s no better feeling than revitalising your favourite rug and saving some $$$ in the process. We’d like to remind our lovely readers that this process will present better results if your rug has been cared for throughout the year. If you’re unsure of what we’re talking about here are a few more tips. If you’re looking for a new rug to make your outdoor entertainment setting more inviting, then give the team at Daydream Leisure Furniture a call. We have a large variety of outdoor rugs to suit everyone’s needs and we can give you the best advice on which rug is best suited for you! With spring just over the horizon, it’s time to freshen up your patio furniture and cushions so that they are ready for the warmer weather. Because the weather in Australia is usually warm enough to still spend time outside during the day, most of us don’t pack our patio furniture away in winter. Some Aussies in colder areas, however, might need to pack their cushions away for the winter to protect them from the elements, but they still need to be cleaned and refreshed before using them in the spring. Regardless of whether you pack your cushions away or leave them exposed to the winter weather, often the cushions become mouldy with all the overnight moisture in the air. Even outdoor cushions that are designed to be left outside all year can become dirty and dusty needing a good clean to bring them back to life for the spring. After all, there is nothing worse than sitting on an outdoor cushion that is stained or covered with dots of mould! Let’s take a look at the best ways to clean and refresh your outdoor patio cushions so that they are ready for your springtime entertainment. 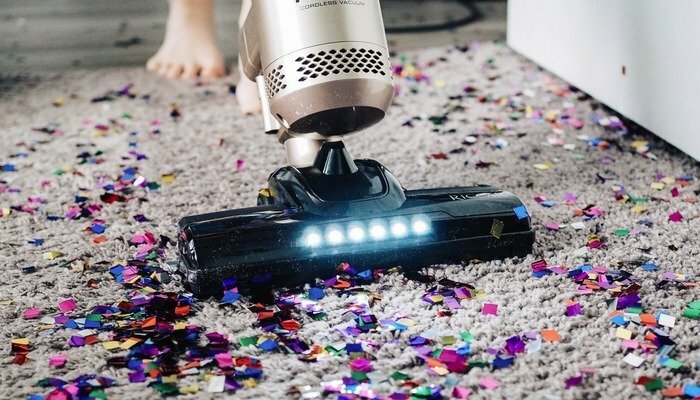 These can just be brushed lightly to remove any dust or light debris that might have collected on them, but often it’s much more effective to vacuum them. Make sure that you get right down into the seams, as this is where dirt and debris can collect and where mould can start to grow. When cleaning light stains from your cushions, don’t rub them with a cloth, as this will make it worse, instead use a blotting action. Spray the cushion with a mild cleaning solution (or 50mls of soap in 3L of warm water), leave it a few minutes and then rinse them with clean warm water. It’s best to clean the entire surface of the cushion, even for just a few spots, otherwise, you might be left with water rings where the stain has been removed. Something like bird droppings can be difficult to remove from your cushions, particularly if it has been left for quite a while! Use the same mild cleaning solution as for light stains, but now you will need to use a soft bristle brush to actively remove the stain. Rinse in warm water and leave to dry in the sun. This takes a little more work to remove, so use a mild soap and bleach mixture consisting of approximately 250mls of bleach and 50mls of mild detergent or soap in 3L of warm water. Spray the entire surface of the cushion, leave it to soak in for 15 minutes and use a soft bristle brush to remove the mould. Rinse in warm water and allow to dry in the sun. If this mild bleach solution doesn’t remove all of the mould, increase the quantity of bleach, but check the label first, so that you don’t harm the fabric. You might also want to spot check the bleach solution on a small area of the fabric first, maybe on the underside, to ensure that it doesn’t discolour your cushions. Remove oil based spills from sunscreen immediately, so that it doesn’t stain your cushions. Maybe lay a towel over a sun-bed or patio chair to avoid these type of stains, because they can be difficult to remove. You can dust oil stains with corn starch to absorb the oil and then brush the corn starch away, hopefully removing the oil stain, but you might have to do this a few times for it to work. With all these spring cleaning tips, your patio cushions should be ready for the warmer weather and your springtime BBQs! If you need new patio furniture for your outdoor entertainment areas, check out the Daydream Leisure Furniture range today. 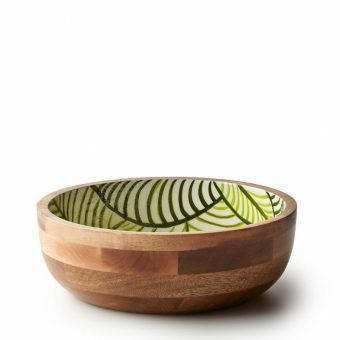 Outdoor entertaining is the perfect time to add a little pizazz to your plates, bowls or serving dishes. 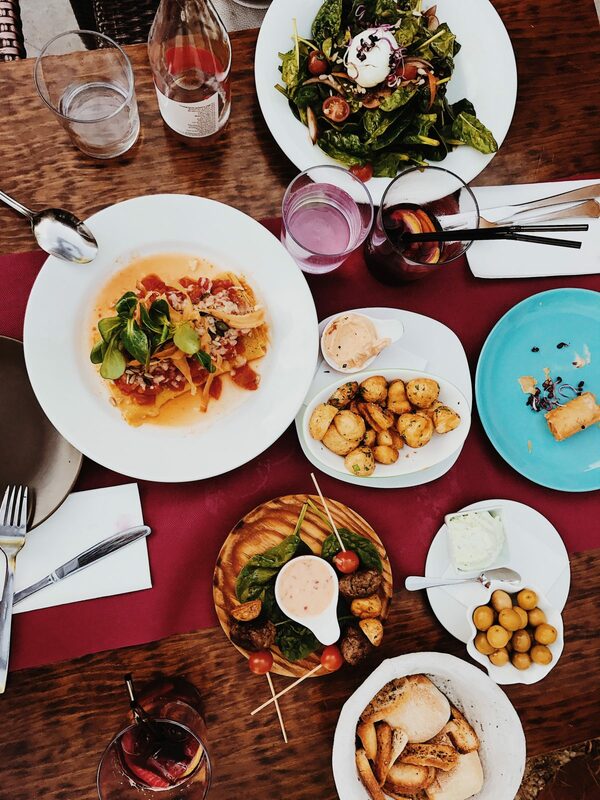 Whether you are going for a certain style or theme, or you just want to add colour, serving ware is simple and easily mixed and matched option for you. 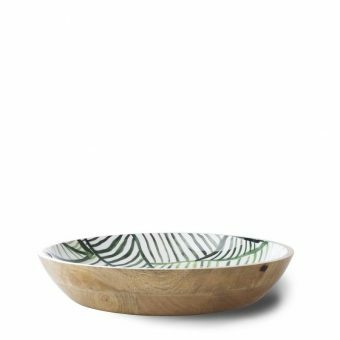 Our range of ‘Congo’ mango wood serving ware is perfect for that pop of both pattern and colour, and the solid Mango wood is both beautiful and stylish. People often underestimate the effect that utensils can have on your guests. 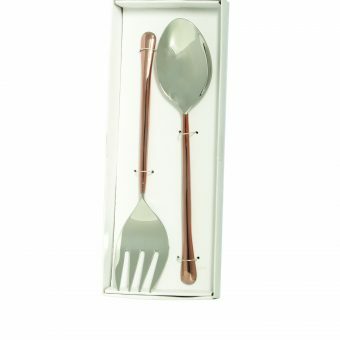 Poorly cleaned or old cutlery can be a big turnoff when entertaining. Make sure you keep your utensils clean and perhaps give them a clean shine with a mix of water with a little vinegar before putting them on the table. 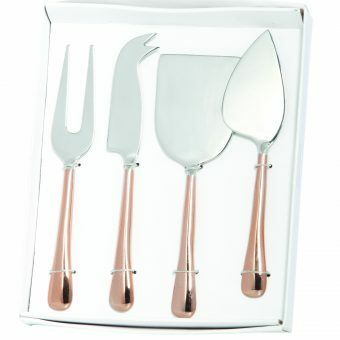 While you may not want to update your entire collection of utensils, updating a few key pieces, such as this stylish two-tone rose gold cheese server set, can have a huge impact on your guests. 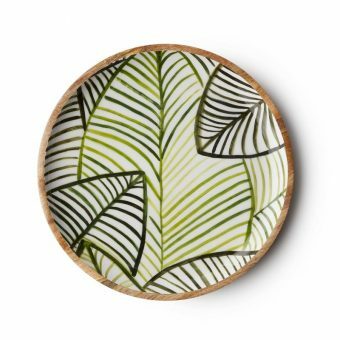 Love the classic white tableware but still need that injection of style and colour? 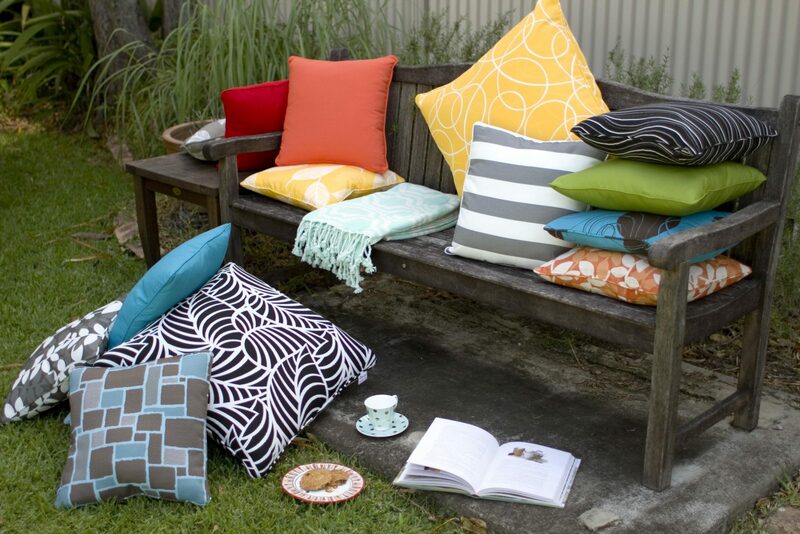 Our made-to-order cushion range comes in a huge range of prints and colours to suit every style. Find the print you like and you can order everything from cushions to table runners and placemats. View the entire range here and complete your outdoor look today. Everyone knows that no dinner table is complete without a centrepiece. So, whether you like flowers and greenery, lighting, or some kind of elaborate décor item, finish off your table in style. Going for the natural look, try a nice native bouquet. Looking for something more romantic? Stick with a few scented candles. No matter what style or theme you prefer as an entertainer and host, there will be something you for you Daydream Leisure Furniture. We offer a huge range of outdoor dining and pool furniture, accessories and décor items to turn your outdoor area into your dream space. View our range online or come into one of our showrooms in either Warana or Noosa today. Summer is well and truly here, and I have to say, we are loving the warm sunshine! Where there is sunshine and good company, there is the perfect excuse for a weekend BBQ with friends. So dust off the grill and get your backyard or patio space ready for the ultimate summer entertaining experience in your very own garden. Having a BBQ is all about simplicity and ease. To help make things easier for you we’ve put together these entertaining tips as a guide. Preparing a meal for a large number of people doesn’t need to be stressful. The beautiful thing about a BBQ is that it’s a very informal and light-hearted event. Why not turn your BBQ into a pot-luck? You’ll provide the grilled meats, and your guests can bring along cheese platters, bread, salads, and even dessert. 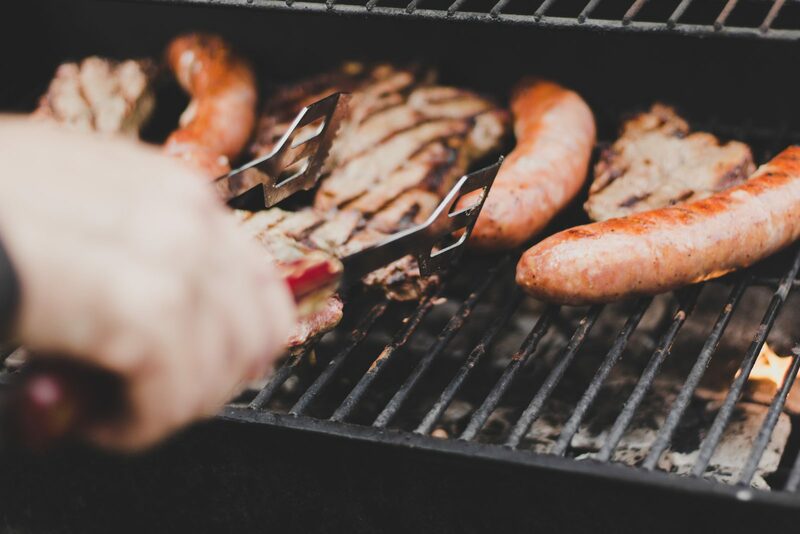 Classic favourites like sausages, kebabs, steaks, and rissoles are always a hit at our family BBQ. What will you be serving up? BBQ’s are fantastic when it comes to recipe planning too. They offer so much versatility with the kinds of meals you can prepare. Jamie Oliver and Webber offer some scrumptious recipes online, to spark your tastebuds with inspiration. Make sure you have enough outdoor furniture to accommodate all of your guests. From classic outdoor settings to picnic rugs on the grass, you can never have enough options for accommodating your mingling guests. Entertaining ranges like the Nardi and Kwila suites are fantastic! They’re durable, stylish, and comfortable all year round. Plus, they offer incredibly versatile arrangements, so that you can find the perfect chairs to match your table and home decor. Bench seats and bar stools are also a great option when entertaining a big group of people. Visit Daydream Furniture before hosting your next BBQ and make sure your entertaining space is a hit this summer! While you’re entertaining your guests at the ultimate summer BBQ, remember to keep the kids’ corner occupied too. There’s nothing worse than when all of the adults are having a great time and suddenly the kids start complaining that they’re bored. Perhaps plan a few fun activities for the littlies, or if you have a pool, you can encourage them to bring along their swimmers and floaties to take a dip? There you have it. Use some of these tips and create the perfect entertaining space, no matter your budget. 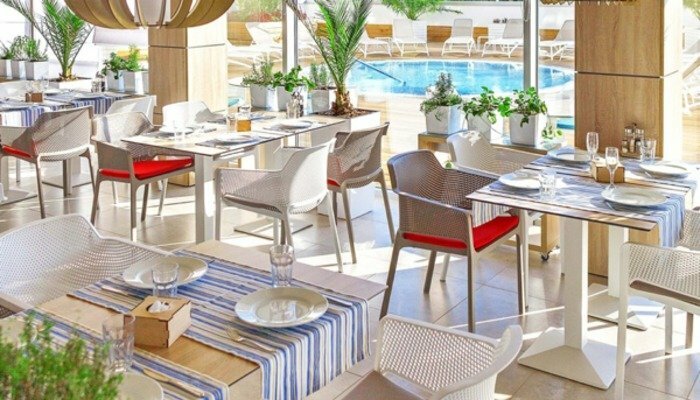 And when you’re ready to furnish your area with the latest in outdoor living and dining settings, look no further than Daydream Leisure Furniture. Our showrooms in Noosa and Warana are stocked with beautiful and stylish pieces to suit all tastes and budget. Shop our range online here or find us on Facebook. Outdoor entertaining is a luxury that many of us would love to do more of, especially here on the Sunshine Coast. 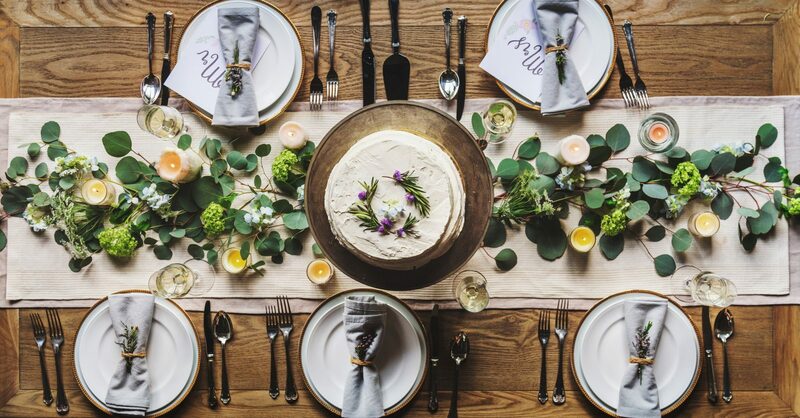 Having a well-designed space for hosting guests and preparing food can take the stress out of dinner parties and leave nothing but a relaxing time with friends, especially when it comes to the clean-up. Here’s our tips on creating the ultimate outdoor entertaining area in your own backyard. When planning a layout for your outdoor area, it pays to consider exactly how you’re going to use the space. This is especially true if you have a smaller area to work with, as you’ll want to work with the space to create an inviting and open area to entertain guests in. Have a bigger yard? It’s recommended that you create different zones within your yard, such as an eating area, a sitting area and a grass/shrubbery zone for children and pets, or perhaps a quick game of bocce! The two most popular options for outdoor entertaining areas are timber decking or pavers, depending on your situation. Choosing dark coloured pavers and applying a coat of sealer, creates an effective and very low maintenance outdoor area that’s easy to clean and repels stains. Just a simple wash down after a big night and you’re done! Including a focal point in your outdoor area can give it the extra oomph it needs to draw guests outside. Whether it’s a colourful wall, vertical garden, some garden lighting or a standout outdoor dining setting, a feature can really transform a space and create conversation. A water feature can not only look beautiful but provides a relaxing atmosphere through its calming white noise. An outdoor kitchen space can really transform your entertainment area. It allows you to prepare and serve food without retreating inside and also give you a space to clean up afterward. Additions such as a small bar fridge enable you to keep food and drinks outside, which is not only convenient for entertaining, but also frees up valuable space in your family fridge. Bi-fold doors are the perfect addition to any entertainer house. Not only do they look amazing and let more light into your home, but they also allow you to join your internal and external areas to create a larger space which can be utilised no matter the season or weather; perfect! Aussies love their outdoor spaces and the backyard is our haven from the stresses and tribulations of our daily lives. We embrace our backyards wholeheartedly, regularly inviting friends and family over for a big BBQ, maybe a swim in the pool, an afternoon watching footy on the outdoor TV, and generally lounging around and relaxing at home. So if your backyard could do with a serious makeover – where do you start? First of all, you need to know all of the specific regulations that will affect your outdoor renovation, otherwise, you can be in a great deal of trouble. Next, take a good hard look at your outdoor space and decide what you like and don’t like, and what is and isn’t possible. Creating a plan on paper is always a good idea because you can see where everything fits, and prevent any huge mistakes before they happen! Some mistakes can be costly, so give due consideration to your plan before you start calling in the backhoe and demolishing your backyard! If you are ready for a backyard makeover at your home, here are our top tips for making the whole process run smoothly. The colour scheme you chose for your outdoor spaces will be determined by your home’s internal and external colour palette. This is because you will want your outdoor entertainment spaces to flow naturally from your internal spaces, so continuing with the same palette is a sensible idea. You might not have any decking at all or need to replace your existing decking because it is old and rotten or no longer suits your lifestyle. One or more decks will help to define your outdoor spaces and you can choose from hardwood timber or the newer composite materials. Even pavers or bricks can be used instead of decking, depending on your budget and your design style. You can create a stand-alone outdoor pergola with a variety of different screens or use large plants, such as clumping bamboo to provide privacy from neighbours. A popular choice when it comes to furnishing our backyards is the wide range of outdoor shade options available today, such as wind-rated cantilever umbrellas and retractable outdoor awnings. These additions not only provide shade and protection from wind and rain, they have the ability to compliment your landscape design and furnishings. Other options include using large pots filled with palms to provide both privacy and shade for your seating areas, building a hedge or installing outdoor blinds that are designed for external areas. With older pools, you might want to completely revamp the pool itself, the pool surrounds and even replace the pool fence. If you want to do any renovations around your pool, always check the pool regulations that are applicable, so you don’t have to re-do your renovations to comply with local laws. For example, you can’t have outdoor furniture and pots within a certain distance of the fence, as this prevents children from climbing over the pool fence. Many Aussies are now investing in an outdoor kitchen complete with sink, fridge, stove and food preparation areas, and even pizza ovens, which is fabulous if you have space. However, there is nothing wrong with simply renovating your BBQ area and patio with aa table, chairs and perhaps a drinks trolley, like this one, to make it more inviting and functional for everyone. If your garden has seen better years with fences falling down, retaining walls crumbling, and dead plants and grass everywhere, then it might be time for a makeover. Always spend big on a number of large focal plants, filling in with smaller cheaper plantings and don’t forget to consider shade plants. 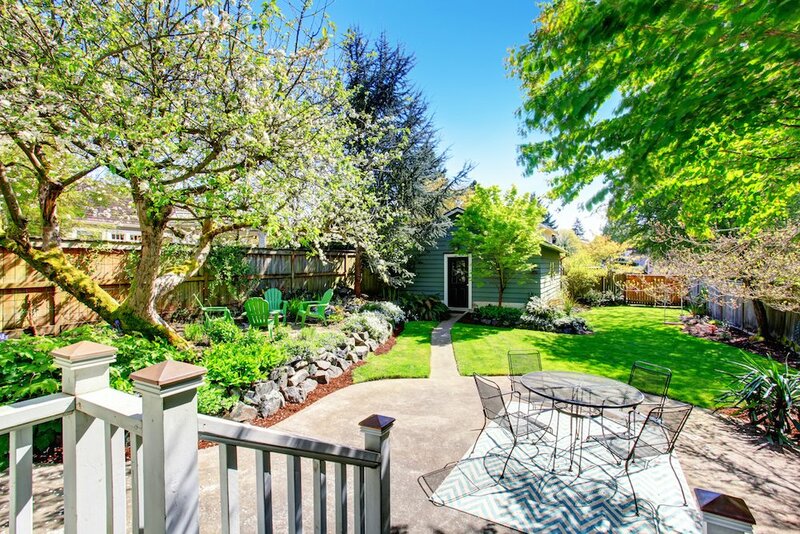 If you have a large backyard, you can also consider creating one or more meandering paths through your garden, ending in small magical areas with outdoor seating for two! Once you have the landscaping, plants and hard surfaces organised, it’s time to think about your furnishings. This can be the most exciting time for many home owners when they start to decide how they will furnish their outdoor entertainment areas. There are plenty of options available, but most people want tables and chairs to create an outdoor dining area, and daybeds and sofa lounges for relaxation. Of course, there are sun lounges for around the pool and all of the cushions you need to soften the spaces as well. The cost of renovating your backyard can be as small or as large as your budget allows. Everyone’s needs are different and there are always changes you can make that will improve a space, regardless of the size of your budget. 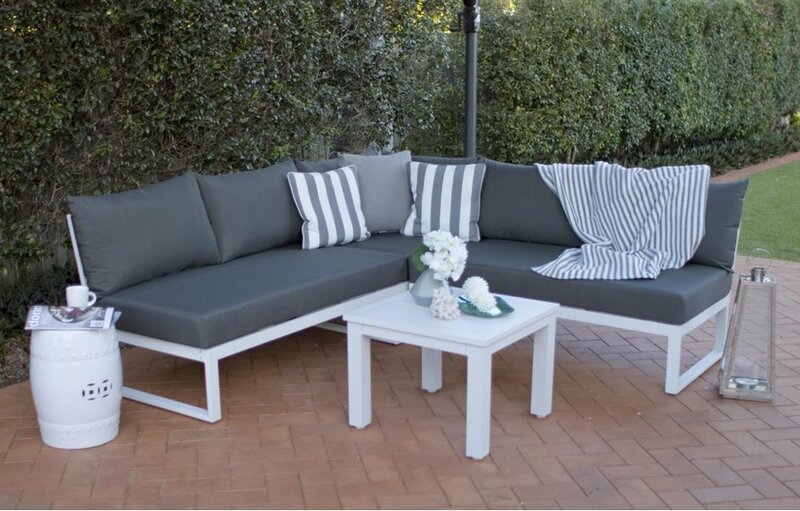 For more information on any of our outdoor furniture and accessories, call Daydream Leisure Furniture on 07 5449 9336 (Noosa) 07 5493 4277 (Warana) or complete our online enquiry form. Spending time outdoors is one of the favourite pastimes for Australians. From having family and friends over, to just relaxing with a good book and soaking up the sunshine, nothing beats the good old outdoors. When it comes to furnishing your outdoor area, however, aluminium is one of the most popular choices of material, and for good reason. Curious as to why? Let us fill you in with our top 5 reasons. Unlike its metal counterpart, aluminium won’t rust over time or due to being left outside exposed to the weather. Although wooden furniture is beautiful and strong, it still needs basic maintenance to prevent wear, tear, and fading due to use and exposure to the sun and rain. As aluminium isn’t affected by these conditions, it’s the perfect choice for being in coastal areas or places with high humidity. Actually, it’s perfect for everyone! Exactly how low maintenance aluminium furniture really is, deserves to be a point in itself. It can stand up to wind, dirt, rain, food, really anything you throw at it, as it just needs a simple hose down or spot clean to look as new! How many pieces of furniture can claim that? It’s light as a feather! If you’re moving your furniture around the backyard or putting it away in the off-season (not that you need to, it doesn’t rust! ), having furniture that’s light makes like so much easier. Just pick up the sun lounge and move it as the sun crosses the sky, it’s that easy. As well as being light-weight, the durability of aluminum furniture is what makes it so popular around the world. Aluminium is a solid and reliable piece of furniture, it will last you and your family for years. Aluminium Furniture comes in a wide range of designs to suit everyone tastes. From traditional to trendy to coastal chic, it can be styled to suit any backyard or design trend and is available in an array of colour including subtle earth tones to bright statement pieces. 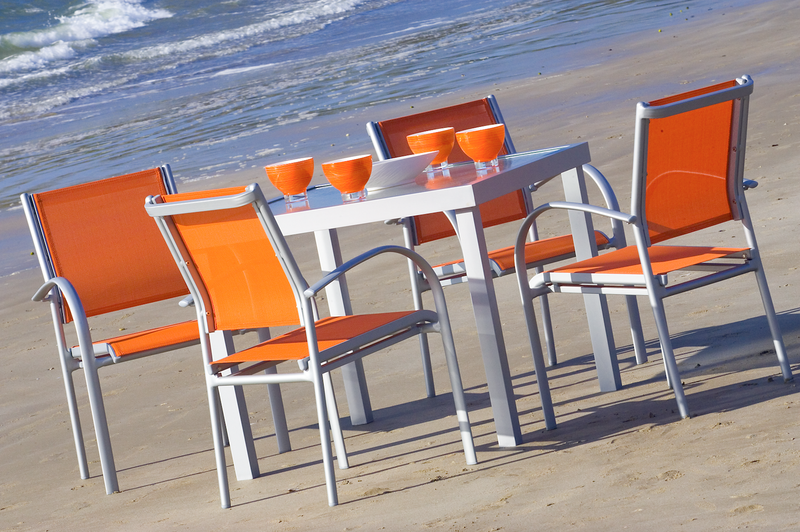 Aluminium furniture is as versatile as you need it to be! Not only does aluminium furniture have so many benefits, it’s also really affordable, offering great value for money. Make the most out of your outdoor area for less, with a long-lasting, lightweight and ever-so-stylish aluminum furniture setting from Daydream Leisure Furniture. We stock outdoor dining tables, picnic settings, chairs, sun lounges and sofa settings; everything you need to create your dream outdoor oasis! Come see the range at one of our showrooms in either Noosa or Warana today. What are you doing this Easter long weekend? For many Sunshine Coast locals, Easter is a time for family, chocolate, and the infamous, long-running Ma & Pa Bendall Memorial Surfing Contest. Held this coming week, Friday 14th to Sunday 16th April; Moffat Beach, Caloundra will play host to the 43rd Annual surfing contest. This event is one of the longest running surfing contests in Australia with a total of $15,000 prize money. The Open Divisions’ winner will take home $2,000 thanks to event organisers, sponsors and local Surf Club, Windansea. As the old story goes… “in 1974 the inaugural ‘Pa’ Bendall Memorial Contest was organised as a mark of respect for Charles Ben (Pa) Bendall. ‘Pa’ is the grandad of surfing in Queensland. He and his wife Marjory (Ma) settled in Caloundra in the 1950’s. There were only a handful of other surfers living locally at the time, and Ma & Pa became the mother and father of surfing on the Sunshine Coast” (Windansea, 2017). At Daydream Leisure Furniture, we have been involved with the Ma & Pa Bendall Memorial Surfing Contest for the last five years. We love to get involved with Ma & Pa as it is a fabulous local event, organised by selfless locals who put a lot of time and effort into making sure this event is phenomenal, year-on-year. We have such a great local community here on the Sunshine Coast and this event is a prime example of our community’s spirit. Not to mention it is a great surf carnival in honour of Ma & Pa Bendall! This year, with the approval of the Ma & Pa Bendall committee, we will have special edition Ma & Pa Bendall life buoys. For every special edition life buoy sold, $10 will be donated back to the contest. Keep an eye out for more beaches being added to the collection soon. The contest is a memorial to Pa’s enthusiasm for surfing and his efforts in promoting surfing and encouraging the young surfers of Caloundra and surfers worldwide. Fall in love with being outside again – fall in love with the legacy of Ma & Pa Bendall with Daydream Leisure Furniture. 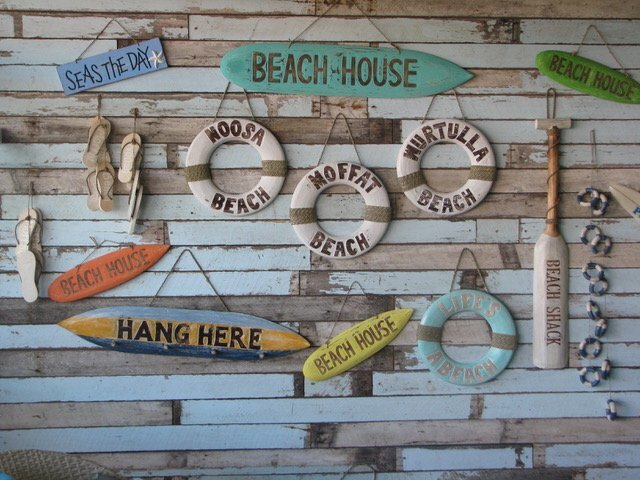 To find out more about the event, Daydream Leisure Furniture’s involvement, and the special edition Ma & Pa Bendall collection, stop by and visit the team at Moffat Beach this Easter long weekend.